A letter was sent to some Anthem Blue Cross/Blue Shield members in Georgia, Missouri and Kentucky threatens to crack down on emergency room visit reimbursements. Patients might have to self-diagnose — and hope they’re right — if they want their emergency room bills paid. That’s according to an NBC News report about a letter which was sent to some Anthem Blue Cross/Blue Shield members in Georgia, Missouri and Kentucky that’s threatening to crack down on emergency room visit reimbursements. While there are rules set by the Affordable Care Act that specify when insurers must pay for emergency room visits that turn out to be for nonemergency conditions, the American College of Emergency Physicians says that what insurers are doing is taking advantage of the Trump administration’s disregard for the ACA to push the boundaries. While patients don’t know whether their problems, whether chest pains, severe headaches or other symptoms, are actual emergencies or can wait for treatment until they see their regular doctor, Anthem says it’s trying to steer patients to proper care. Joyzelle Davis, communications director for Anthem, Inc., is quoted in the report saying, “What we are really trying to do is make sure that people are seeing their doctors first.” She adds that patients are going to emergency departments with itchy eyes and other nonemergency symptoms, making an emergency room visit inappropriate. For her part, Davis says, “It is reinforcing language that has been in the contract that has not necessarily been enforced before,” adding that policies still apply what is known as the “prudent layperson” standard. That says that an emergency is something “that would lead a prudent layperson, possessing an average knowledge of medicine and health,” to conclude that the health problem the symptoms represent is truly an emergency. While “emergency” is defined in the letter, Parker says that both the letters and the new policies can make people rethink a visit to the emergency room and could also leave them on the hook for “tens of thousands of dollars” in medical bills. And while Davis says in the report that a sharp pain with a deep breath could be a symptom of the common cold and is thus not an emergency, Parker says it’s not reasonable to expect patients to know the difference. 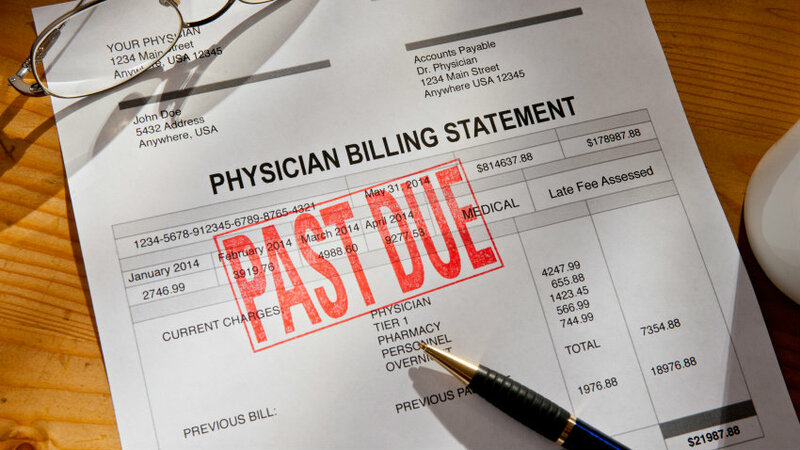 She gives as an example a patient who waited, with symptoms of “severe dizziness, vertigo,” for the doctor’s office hours before going in lest she be on the hook for the bill. It turned out to be a stroke.